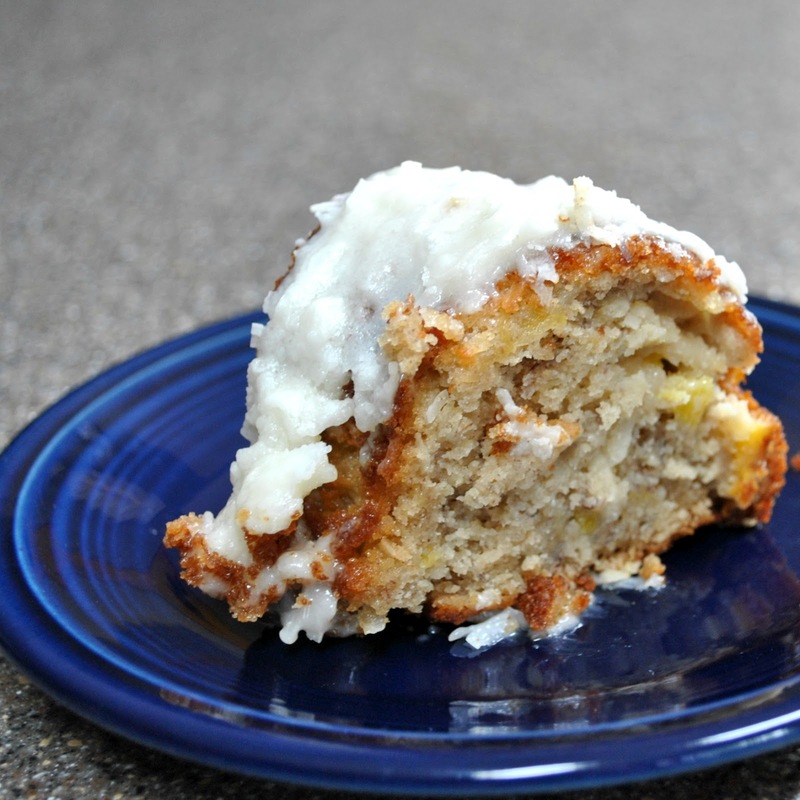 Have you ever had hummingbird cake? Think tropical carrot cake full of pineapple and coconut. It may sound weird but this is a quick and easy cake that will give you ridiculously good results. 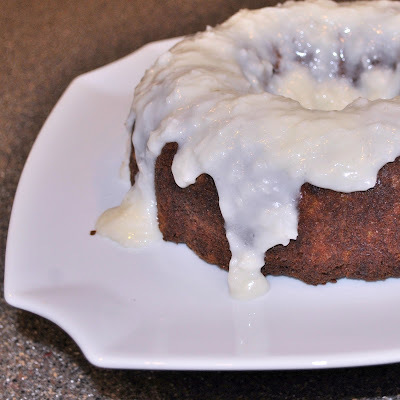 This works equally well as a quick bundt cake to serve coffee cake style or as a layer cake sandwiched with layers of cream cheese frosting, just double the recipe. Preheat oven to 350 degrees and grease and flour a bundt pan. Combine flour, baking soda, powder, salt and cinnamon in a medium bowl and whisk to combine. Separately cream butter and sugar for 2-3 minutes until light and fluffy. Add eggs, one at a time, mixing until thoroughly combined. Add in extracts and yogurt and mix to combine. Add 1/2 of the flour mixture, mixing on low speed until just combined. Mix in the bananas and then follow with the remaining flour mixture. Once combined, stir in coconut and pineapple. Transfer to prepared pan, smooth out the top and bake about 45-55 minutes until a knife or skewer comes out clean. Cool in pan for about 20 minutes. Cover a cooling rack with parchment paper, place on top of bundt pan and invert cake and cool completely. For icing, whisk cream cheese until smooth, whisk in milk and vanilla. Add powdered sugar and mix until smooth. Add more powdered sugar if necessary to reach desired thickness. Stir in coconut. Spoon over the top of the cooled cake, cut and serve. I've never tasted a Hummingbird Bird Cake but I'm wishing that I had a slice of this one right now. Looks amazing! Thanks Paula - definitely one to try, it's easy to make and so good!